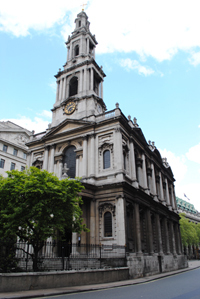 I love St Mary le Strand. But we still have to ask the question. Why did they select Gibbs, an architect trained in, and known for his baroque Italianate style? Surely the Palladian-style favoured by Lord Burlington and by me, would have been more suitable.